I've been spending a lot of time reading lately. Which has been really nice. It's become a bit of a luxury. Once, I could read a book in a night, but now I'm lucky to read one book every couple of weeks. I just don't have the big slots of open time like I used to. And staying up late? Ha! Even if I could -- if I did, I'd be a zombie the next day. I'm finishing Elaine Viets' HALF-PRICE HOMICIDE and loving it. Both of these books sounds great. 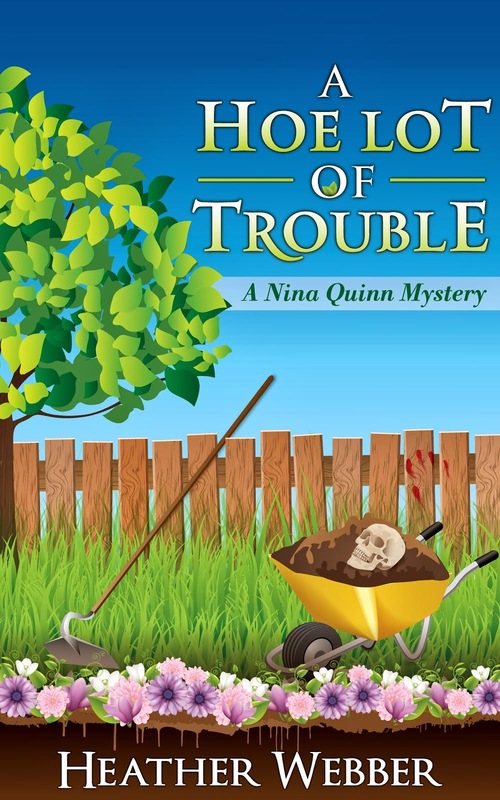 I really enjoy cozy mysteries but seem to be away from them lately. I've recently finished Jennifer Stanley's Path of the Wicked and Elizabeth Lynn Casey's Death Threads; last night I started a western historical, Two Brides Too Many by Mona Hodgson...much fun so far! The last five books I've read were cozies including Tressed To Kill by Lila Dare which I just finished this morning. Now, I'm switching to a thriller, Eight Days to Live by Iris Johansen. I just started Delta Blues, an anthology of short stories with writers like John Grisham and Charlaine Harris. All stories take place in the Mississippi Delta. I also have Sookie Book 10 - Dead in the Family - to read. But I am holding myself back and waiting until Memorial Day weekend when I will be toddler-free and can read for hours on end. Luxury! I'm finishing up The Anteater of Death by Betty Webb. Next up is Murder on the Eightfold Path by Diana Killian. I have a couple of these in my TBR pile. As for the rest, I'm taking notes, but I'm determined (hahahaha) not to buy more books until this pile goes down. After reading Jenn McKinlay's Sprinkle with Murder, I went back and just read Lucy Lawrence's two Decoupage mysteries. Pretty good! Reading Death Threads at the moment, bought Lila Dare yesterday (thanks to Dru and about 20 other people on goodreads who were reading the darn thing!). Also have A River in the Sky going on the BlackBerry. Just finished Annette Blair's Kitchen Witch trilogy...Also recently finished Lucy Lawrence's first decoupage mystery. The second one is on my TBR mountain.